Clinical Commissioning Groups (CCGs) are assessed by NHS England every quarter to ensure that they are delivering quality services that provide better outcomes for patients. The CCG improvement and assessment framework for 2016-17 sets out four domains and six clinical indicators. These reflect the key elements of a well led effective clinical commissioner, and underpin assurance discussions between CCGs and NHS England, whilst identifying ongoing ambitions for CCG development. Our performance is captured within the Hull CCG Annual Report and Accounts 2016–17 pages 22 – 58. 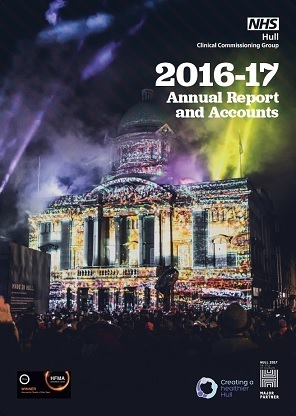 You can view the full Annual Report and Accounts for 2016-17 here. Leadership: this domain assesses the quality of the CCG’s leadership, the quality of its plans, how the CCG works with its partners, and the governance arrangements, for example in managing conflicts of interest. The CCG’s year-end and assurance assessment will shortly be issued by NHS England and will be updated here in the coming weeks.